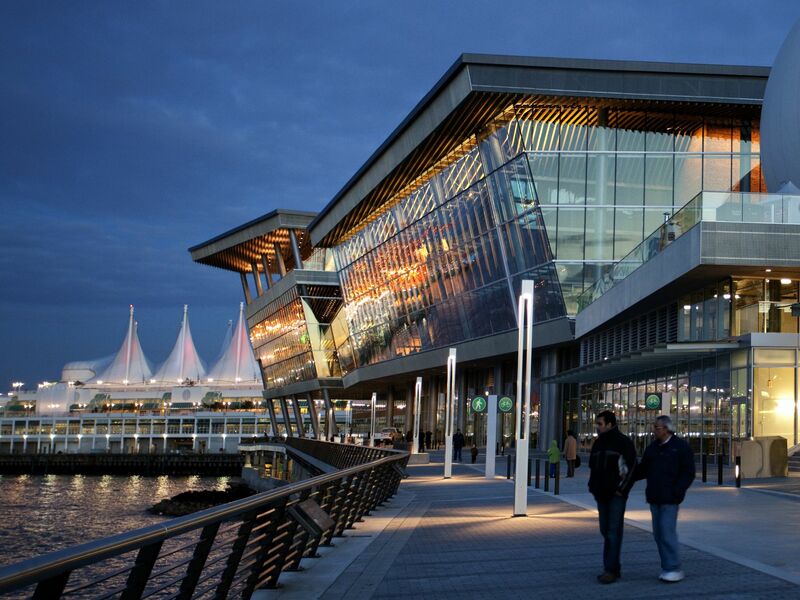 Opening in 2009, the Vancouver Convention Centre West was designed by LMN Architects in collaboration with Vancouver’s Musson Cattell Mackey Partnership and DA Architects and Planners. The structure was the first convention centre to achieve Platinum under the Canada Green Building Council’s (CaGBC’s) Leadership in Energy and Environmental Design (LEED) program. The $883-million, 111,483-m2 (1.2-million-sf) project was the broadcast and media centre for the 2010 Olympic Winter Games. Situated on the harbour, the design incorporates the natural environment with the city’s downtown core. Extensive daylighting was part of the design, with an ultra-clear glazing assembly surrounding the building. The glass envelope also allows for views of the waterfront and cityscape from many of the function rooms within the centre, and enables natural ventilation. To read a case study about Ottawa Paramedic Service Headquarters, click here.